Conflict Kitchen | what if? 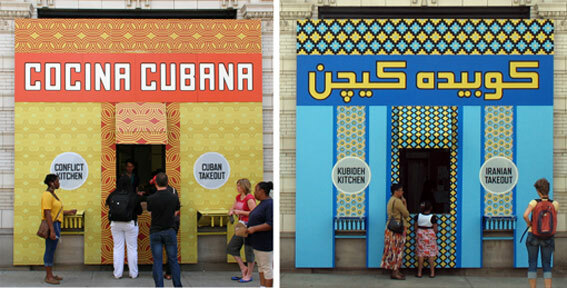 When recently roaming the internet I stumbled upon the art project “Conflict Kitchen” by Jon Rubin and Dawn Weleski in Pittsburgh, USA. It captured my interest and got my admiration. This is a project about cultural identities of countries and of people whose origin is different from ours. What makes Conflict Kitchen so special is that it features countries with which the United States are in conflict. The team sets out to create awareness and understanding by introducing us to the people of a focus region via their own voices and customs. Conflict kitchen aims to promote understanding. In 2014 Conflict Kitchen began serving Palestinian cuisine. 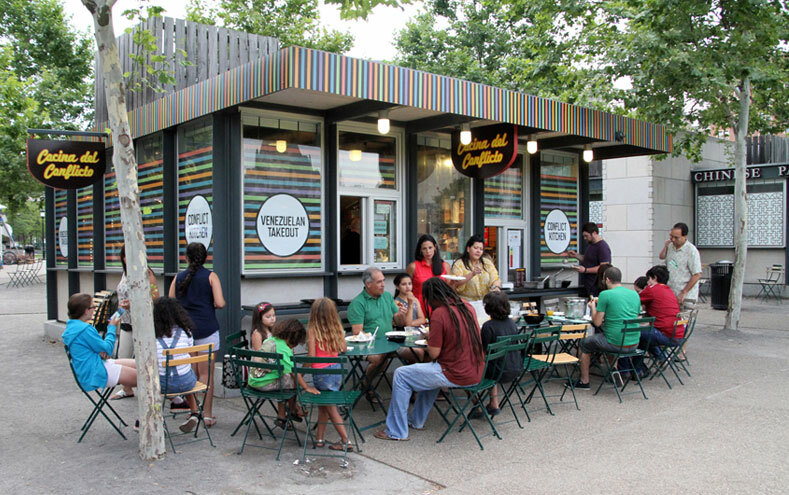 By now Conflict Kitchen has reopened and still serve Palestinian food. The team’s work represents a core value of the society they live in – freedom of expression. The death threat against them violates this very value. 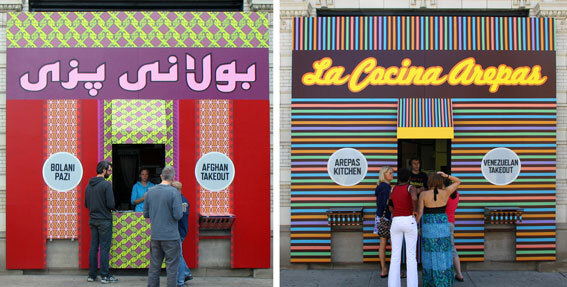 Conflict Kitchen stimulates dialogue. They offer alternative points of view on the focus regions they feature. They challenge politics and personal prejudice or beliefs, they encourage reflection and further communication amongst individuals across personally pre-conceived or politically promoted borders. They provoke discussion and debate. They share information with us that is shaped by the personal experience of the people whom they are lending a voice.